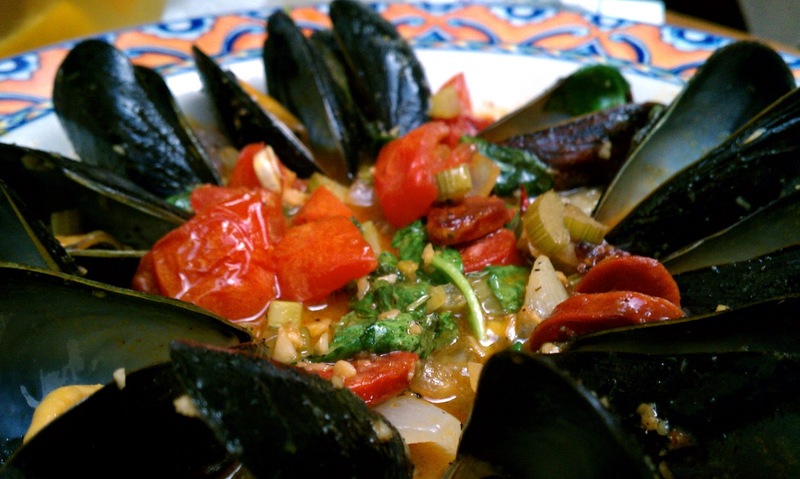 Bocca Felice: We Savored the Flavor! 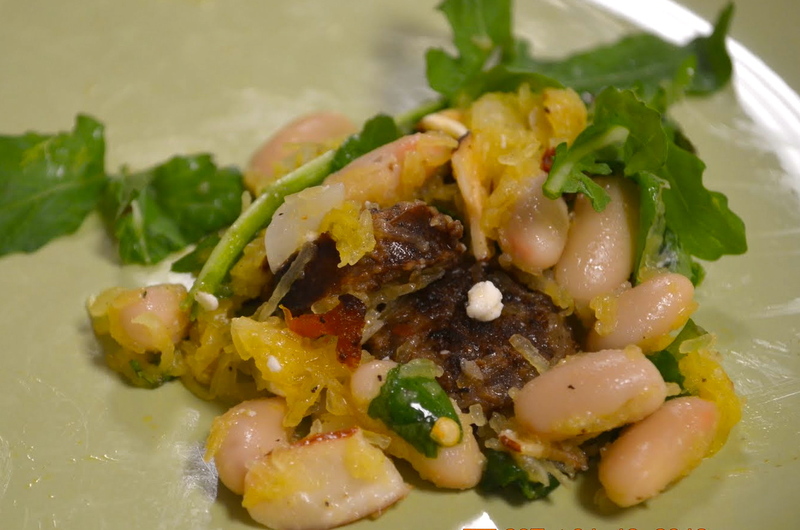 A GIANT THANKS to all the participants that joined us for a delicious time at our January Cooking Classes as we prepared and enjoyed Spaghetti Squash with Arugula, Feta and Cannellini beans, Cauliflower Crisp, Spicy-Sweet Butternut Squash and Red Russian Kale! We have already heard so much wonderful feedback regarding these delicious and nutritious recipes being tried by all of you at home. Jessica Carter shared that when she made the Cauliflower Crisp, she forgot to steam the cauliflower, and yet it came out delish! 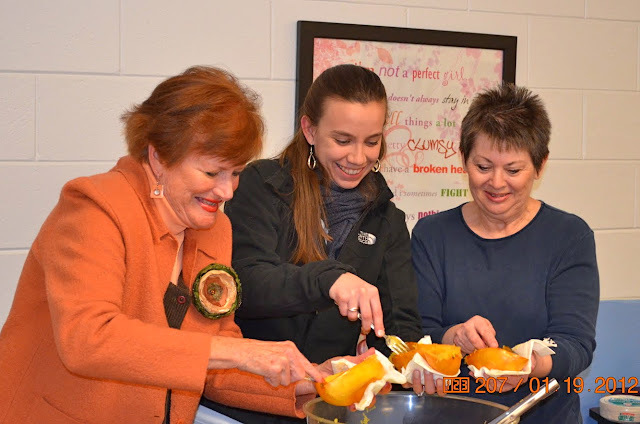 Many of us that sampled the raw Spicy-Sweet Butternut Squash, also learned a lesson in food science....the inside of our mouths were extremely raw the following day. If you would like to read more about this food phenomenon, and the reason for such reactions from raw butternut squash and other fruit, please click on this link for Backyard Gardening. 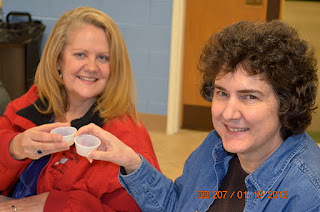 Ruthie & Claire toast to a year of flavor! If you were unable to attend this month's cooking class, the Spaghetti Squash recipe has been posted in our the Recipe Box, along with an amazing Honey Beer Bread recipe I encourage you all to try! February and March Classes are Posted! Looking to see what's ahead? Check our the Monthly Classes tab and you will find the dates and descriptions of our upcoming February and March Cooking Classes at CUMC including "Chocolicious II", "A Mardi Gras Mouthful", and "Pizza, Pizza"! Also in March, in case you missed it last year, our "Taste of the Mediterranean" Cooking Class is being offered at the West Cabarrus YMCA on Thursday, March 8th from 6:30-8:00pm. For more information, or to register for this program please contact the YMCA directly at 704-795-9622. 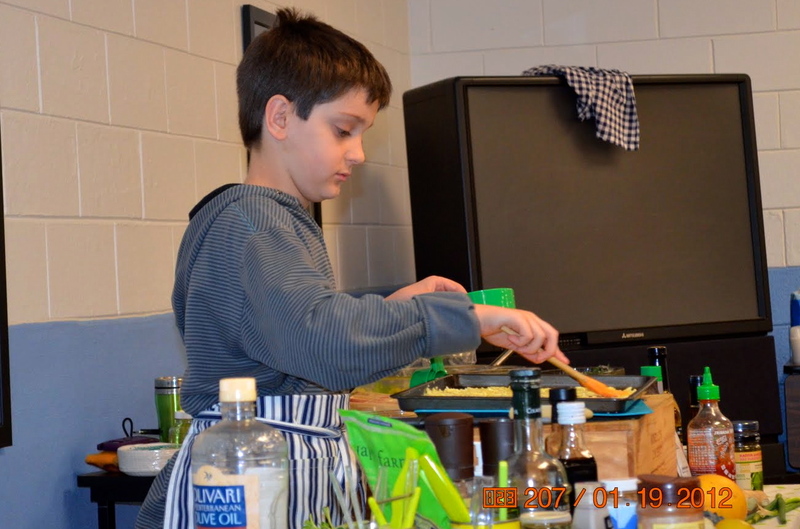 This cooking class is open to all members of the community: Y-members and non-members. Tuition is $15, and child care is available. Ciao Amici!